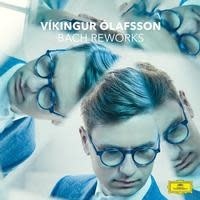 Ólafsson’s second Deutsche Grammophon album, the pithily entitled Bach, contains a mixture of original works and transcriptions, which the pianist has woven together in intriguing style. The album brings together atmospheric reworkings of music by composers such as Hans-Joachim Roedelius, Ben Frost, Peter Gregson and Valgeir Sigurðsson – reimaginings that artfully defragment the creations of Bach. It also features a moving and intimate new work Ólafsson has written in memory of his late friend and colleague Jóhann Jóhannsson.